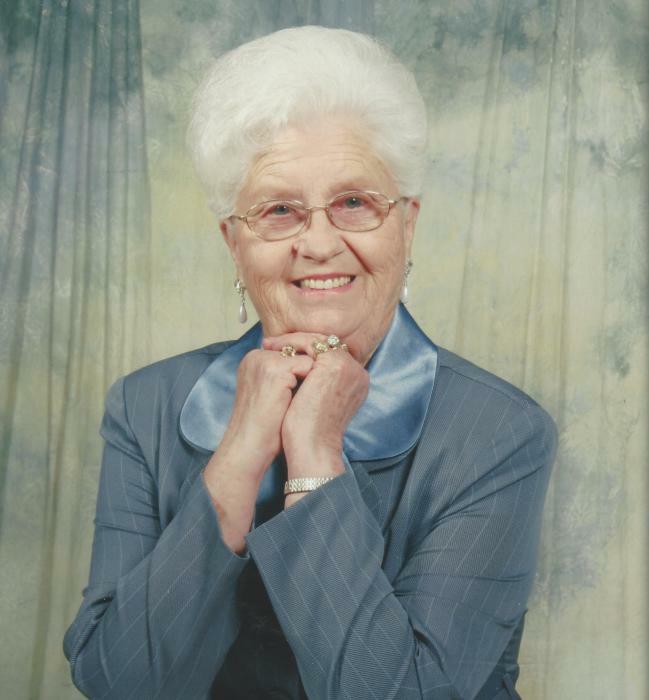 Graveside services for Mildred Morris, 89, of Hokes Bluff, who passed away on November 26, 2018 will be 3:00 PM Wednesday, November 28, 2018 at Hebron Cemetery, Centre, AL. Rev. Eddie Gooch will officiate. Glencoe-Hokes Bluff Funeral Home & Cemetery is in charge of the services. Mildred was a devoted wife, loving mother and homemaker. She loved working in her yard and flowers. She was a member of Hokes Bluff Methodist Church. She is preceded in death by her husband, Lester J. Morris and daughter, Kathy Woodson. She is survived by her son; Donnie (Kay) Morris, daughters; Linda Morris (Jay), Patsy (Paul) Godfrey, and Jackie (Neal) Maddox, son-in-law; Benny Woodson, brother; Tommy Brown, 10 grandchildren, 12 great grandchildren, and 4 great great grandchildren. Pallbearers will be grandson’s and great grandson’s. Special thanks to Meadowood Retirement Center, Southern Care Hospice and special friend Betty Andrews. In lieu of flowers memorials may be made to Fill My Cup Soup Kitchen, Hokes Bluff Methodist Church or the American Cancer Society. The family will receive friends from 1:00 PM to 2:00 PM Wednesday at the funeral home.